It’s available as an aftermarket item already, just installed on my 2017 Scalpel Si. How much did it cost as aftermarket? How close were you? I wonder if you could use a 3mm spacer? Somewhere lost in the Bush! What did you notice in regards to ride quality from the 2.0? Do you need to perform bearing resets? Did he pay with coins? I was pritty close, but the chain ring was just a little bit hitting the alu protector at he high point... I dont know about a spacer... is there a link and maybe extended vieuw? I'll be working on my bike in a little while, will measure how much clearance I have. I have a 36 Wolftooth on my bike and a 34 oval Absolute Black on my wife’s. Both are SI cranksets. Hi, I just got my first ride in today on my new Scalpel Si 4 Carbon with Lefty Ocho. I upgraded the bars to Renthal Fat Carbon Lite 40mm risers and Easton EC70 stem and seatpost C Carbon so it is very lightweight for the standard balistec carbon frame and alloy ocho. As a mature road rider I was looking for comfort and lightweight and it has both big time. I have already ordered Absolute Black 32T oval ring to go on spare Hollowgram SiSL2 cranks off my road bike. So far the Lefty Ocho is amazing in its performance, I will post a detailed review. Okay, here goes! Just took delivery of my new Scalpel Si 4 Carbon with alloy Lefty Ocho fork. I upgraded to carbon riser bars and stem and a carbon seatpost and a more shapely Fabric Radius saddle, so weight is a feathery-for-full-suspension 25 lbs. Had the dealership setup the fork and shock with initial sag settings and a couple curb rolloffs for rebound, set the tires at 29 front / 33 rear. At 5'8 1/2" and 170 lbs. the medium frame is a perfect fit. Full disclosure, I am not an XC racer or marathon trail rider, I am a 59+ year old avid road rider with lots of new opportunities to ride gravel roads, rails to trails, light XC trails, fast rough paved paths, as well as singletrack at many area parks. So, I am reviewing the Scalpel Si for versatility in a lightweight, short travel trail bike and not as a XC racer, at which it already excels. 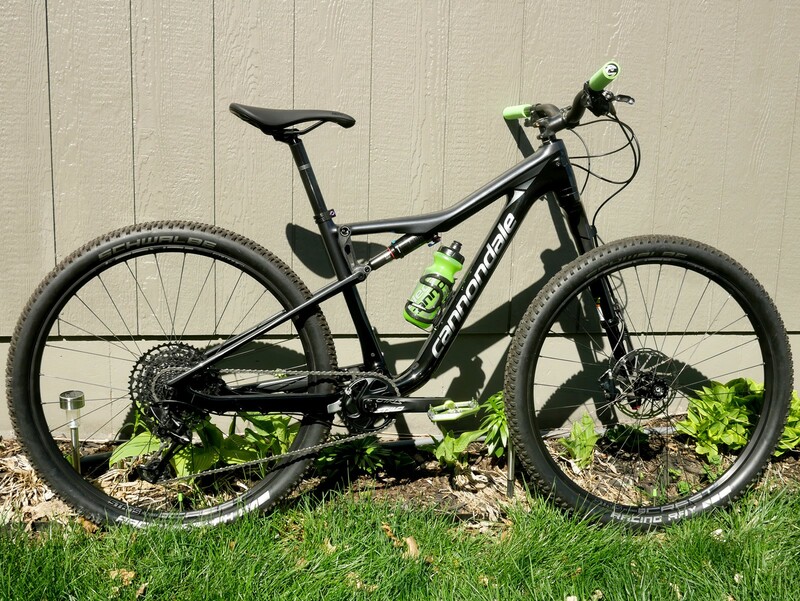 The Scalpel Si is already well known to Cannondale fans as their world class full-suspension XC race bike, very lightweight and capable, with Lefty fork in most cases. 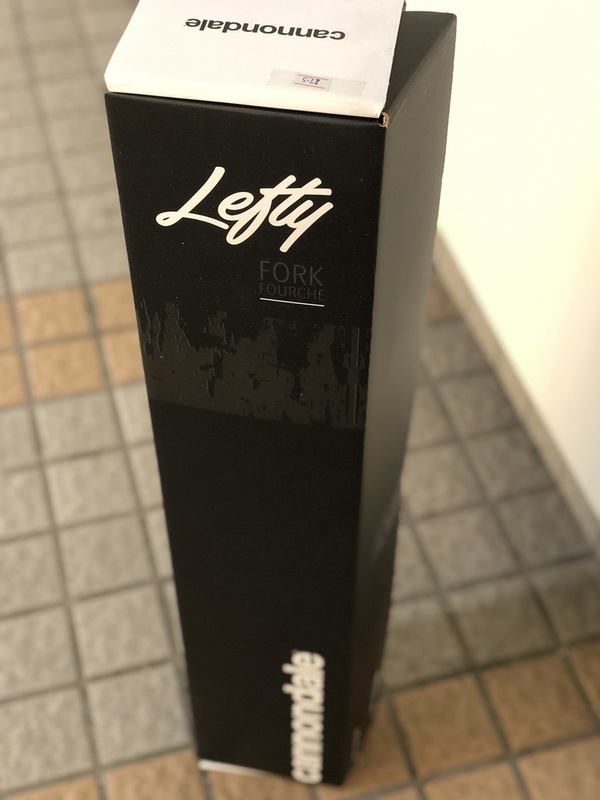 The new for '19 Lefty Ocho is a significant refinement of the mono-strut front end on an already excellent frame and single-pivot, flex-stay rear end. Although fork and shock are 100mm travel on the XC race models, up to 120mm fork and 115mm travel shock are easily fitted and come on some versions. This is part of what makes a Scalpel, and other similar platforms, excellent short/mid-travel light trail bikes with the feathery weight of a XC racer for easy pedaling and the grip and cush for light to medium trails. 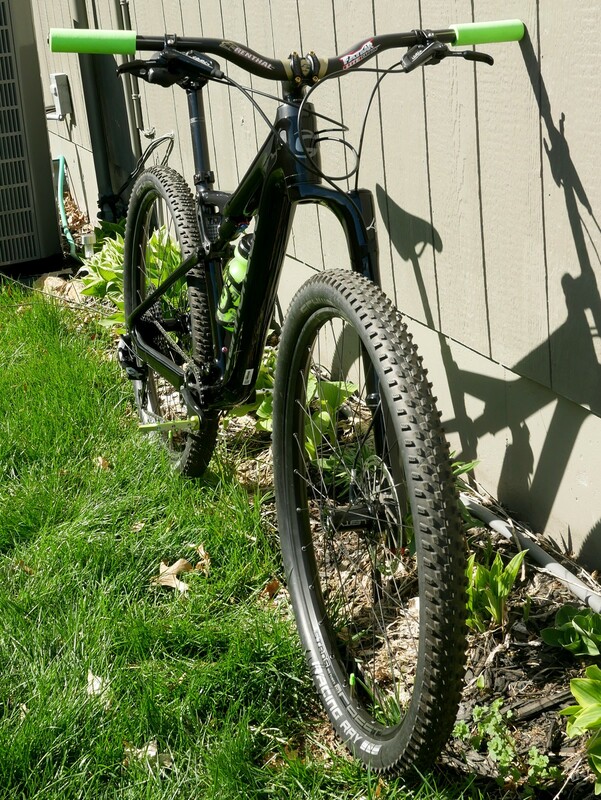 There, the secret is out, a lightweight full-suspension XC bike trimmed out for a bit more travel, wider tires, comfy bar angle, etc. makes a fantastic general gravel road and light trail bike for non-racey adults. It's as stiff as Lefty 2.0 , but more plush and significant improvement in small bump sensitivity, easier to obtain full travel during the ride. Needle migration still there, as long as you set the correct air pressure, the bearings are being reset during the ride when you bottom out the fork, so no big issue for it. Lighter feel at the front end, results in better cornering and sharper turn. Great upgrade for the Scalpel Si, makes the bike more fun to ride. As to specifics, I took my new Scalpel Si with preliminary setup today to a local park with a variety of paved paths, dry dirt forest trails criss-crossed with logs and limbs, and rocky single-track worthy of a DH rig and body armour. I tested the travel of fork and shock and compression and rebound dials carefully several times as I began to progress to bumpier terrain, trying to balance the two as best possible as I got the feel of their reactions. The Lefty Ocho up front is the compelling new interest so let me describe it first. Very smooth on small hits, very solid feeling for its equivalent weight/travel class. The new cable operated remote control is an important update and works not as a full lockout, but as a dual-range compresion control which essentially twists the master compression knob atop the strut four clicks higher, or about a third of its range increase. This means that you can tune the range on the fly by reaching down and turning the dial's range and then control it up or down four clicks up or down with the remote. Mated with a 2-position remote rear shock they both operate similarly, providing a very tuneable dual-range suspension front and rear. That is arguably superior in useability and hardware protection to full-lockout systems and surpassed only by active systems. So, the Lefty Ocho once setup carefully over several static and dynamic tests in the open setting took about 140psi to support my 170lbs. it seems to want just two or three more psi than recommended but then feels quite plush and uses most but not quite all of its travel over heavy hits. The remote actuated firm-pedalling mode makes a noticeble but not mandatory difference sprinting on flats and climbing, honestly the front end is very stable just left in open mode. What is impressive is the combination of super smooth low speed action and solid, stable, bottomless feeling takeup of big hits. I am very far from an enduro rider and the Ocho saved my face and more as I pushed its limits over bigger rocks, nosestanding more than once the ocho smoothly took all my weight, kept me from going over the bars with no binding or bottoming jolt and smoothly rebounded me back up and forward. In over my head, clearly beyond the limits of my technique, the ocho performed beyond the call of duty by being very stable and forgiving rather than the tweaky, exotic racing fork some might expect. Once balanced carefully as to rebound reaction as well as sag, and that is very important, the rear shock Rockshox Monarch RL worked excellently. Took two or three small incremental adjustments and ended up with around 155lbs. just less than the initial recommendation to get 25-30% sag which felt plush but supportive and matched closely the feel and reaction of the fork. I can't stress enough that small changes in the suspension setup can make significant differences in performance and balance front to rear is critical. This is a thoroughbred racing platform as sensitive as it is capable. Rebound settings came in just on the light side with three to four clicks in from open for the Lefty and four to five in for the shock for nimble reaction over roots and rocks. 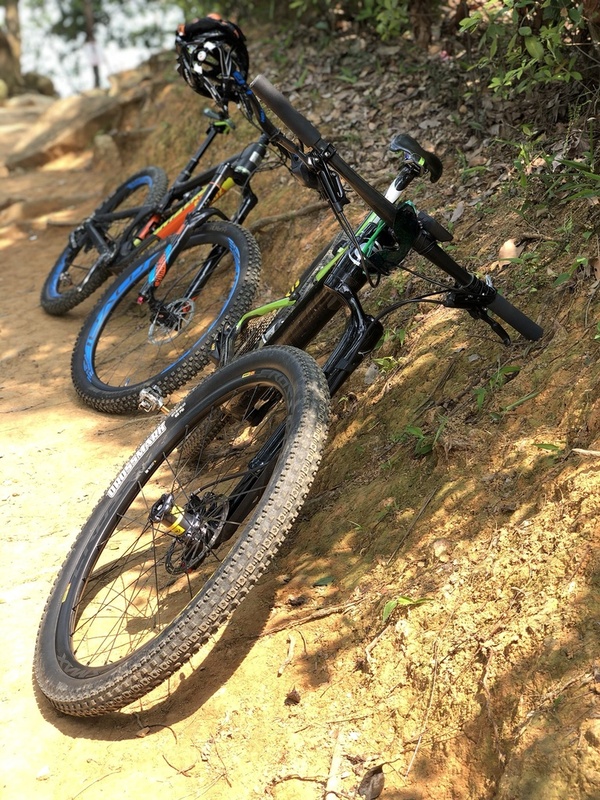 In a nutshell, after one brief first day test ride, I am very pleased and proud of the Scalpel's performance over a variety of surfaces, amazed by the super-smooth Lefty Ocho fighting well above its travel class, and looking forward to riding more trails! Stay tuned for inevitable further upgrades! Stay tuned for inevitable further upgrades! Thanks for the excellent, detailed ride report! So on the 2.0, the migration doesn’t self reset on bottom out as it requires significant force. So on the Ocho, it is easier? Last edited by jschoef; 2 Days Ago at 01:16 PM. no its the same. the ocho is less likely to migrate because all the bearings are tied together. All 3 sets have to slip at the same time. In the 2.0 only one out of the 4 needed to slip. The ocho is less stiff than the 2.0. Don't even go there. Cannondale even says it's less stiff. It's immediately noticeable, but it's way lighter. Cannondale cites 14% less torsional stiffness as adding forgiveness under cornering as tradeoff as well as lightness. After two short test rides I agree the Ocho is plush on small hits and uses 80 - 90% of its travel over a moderate mix of bumps but feels quite smooth, suddenly progressive and relatively "bottomless" at max compression. It gives the impression of being a 120mm shock in a 100mm travel body. Perhaps most importantly it seems very smooth and very supportive in the middle of its range cruising over small to medium hits at speed, as noted using quite a bit of its travel because of its low stiction ("shaft action slipperiness"). So, as appropriate, for fast smooth to medium smooth XC tracks the Ocho should deliver outstanding performance and still be capable on the more gnarly technical sections for its weight. A couple more follow up notes after a couple more rides over a mix of suburban paved paths, construction site gravel and dirt, curb jumping and grass banks, the Scalpel definitely excels at light bumps at a brisk pace, smoothing out broken pavement and curbs without missing a pedal stroke. Feels almost like a road bike in weight and acceleration considering the 2.25" tires. Compared again briefly at the dealership to an alloy Scalpel 5 with the Lefty 2.0, I would agree the previous version feels a bit stiffer but not as plush over small hits and a bit heavier in weight balance to the front end. The Ocho may have a tiny bit more wobble type of flex under big hits or hard fast corners as they admit but has this super smooth lack of binding and wide use of the middle range of the travel that is part of its design's justification. I'm guessing the elimination of the upper structure by going to the single crown design lessened the strength but also shaved a lot of weight and is aesthetically quite sleek. I found that brisk light trail riding and suburban curb hopping just pedalling along seated is a delight, cruising over sudden bumps without missing a stroke. The Ocho again seemed to use around 80% of its travel over moderate hits but never felt like it hit bottom even riding over a 4" square curb. I'm guessing this is the Ocho mojo or its forte for its size and weight class is the way it seems like longer travel than it is but super soft at first then long smooth travel middle range with pretty quick rebound, then ramps up quite progressive at the end of travel. This makes it feel like it has slightly longer smoother travel than other same length 100mm forks. Again, I am more a roadie and gravel rider so I am describing how it feels to me compared to similar models with a fox 32sc or rs sid etc. I have tested. That’s exactly what I feel! !